Uuhh?? Uuuhh?? Mama, I can read..??! 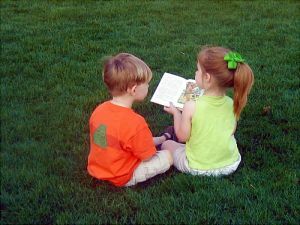 Have you ever witness little children who are able to read without having to teach them how to read the language in the first place? This is without sending them to a specific language school, or send them to special language class to enable them to learn to grasp the language and to fully understand the concept of the language itself. I am talking about literally putting a book in front of them and they start reading simultaneously, and surprisingly with almost no fault nor correction! I am not saying that you shouldn’t teach any language just by speaking alone, but believe me! It helps a lot in grasping the meaning and pronouncing the words faster than usual. I have been speaking English with my children since they were born. It’s not their only language since we speak more than three languages in the house. But to my astonishment, my children are able to recognise words and sentences from any English book and are able to read them fluently. All I know is that, all these years we never stop talking and practising the language. We speak English every single day. One thing here that I feel the urge to mention is that I make sure the children speak proper English. Not any ‘broken’ English as most people put it. I have the tendency to keep correcting their sentences whenever there is the need for correction. This is because I know for a fact that it is crucial to speak the language correctly so that the person receiving the information will benefit from understanding fully what you want to relay in the first place – hopefully without having to repeat over and over again for clarity. With this, I am now teaching the children the proper structure of the language through writing. I do not have to start at the very beginning since this is no longer an unfamiliar territory. I am sure that the children will have more pleasure in learning the language thoroughly since I am already seeing signs of ‘having so much fun‘ while they are reading and writing English. I am entirely convinced that the children will be able to read, write, speak and hear the language in full gear in the very near future! Never under estimate the power of the mind of a child…. 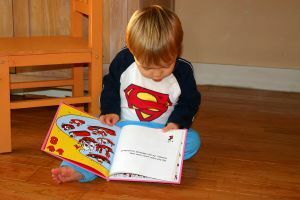 This entry was posted in Early learning, Language learning, Languages, Lingua Franca Academy, pedagogy, Projects, Uncategorized and tagged children, communication, Early learning, education, first steps, foundation, Language learning, preschool children, reading, speak, speaking, teaching, writing. Bookmark the permalink.